Morgan completed her bachelors degree in honors biochemistry from Eastern Michigan University. 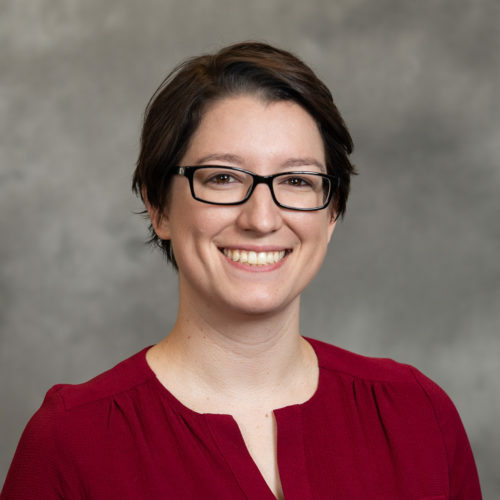 She completed her masters degree in biological sciences with a focus on evolution from Wayne State University, and is currently working on her second masters degree in environmental safety and health from the University of Wisconsin Whitewater. She published a thesis detailing microsatellite variation in three species of Megistostegium, has contributed to genetic research in invasive species by creating artificial microRNAs to knockdown photosynthesis genes, and has contributed to General Motors research and development in polymers and coatings. In the Baldridge lab, she is working towards systematically generating libraries of point mutations in the ERAD components.